This aqueous equine insecticide spray features a ready-to-use, citronella scented formula. It won't attract dust and grime like oil-based products and offers long-lasting protection against a wide array of insects. 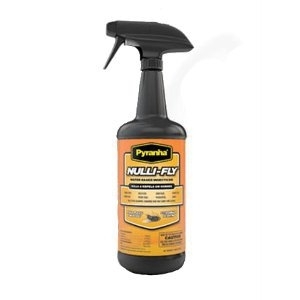 Nulli-Fly™ can be wiped or sprayed on horses. This economical formulation is sure to be your next favorite. Available in 4 oz trail size and quart sizes.